Recently Pheasants Forever applied for and received a $252,000 grant through the Conservation Partners Legacy Grant Program (CPL) to remove woody vegetation that is encroaching on Ridgeway WPA and Agassiz WPA. 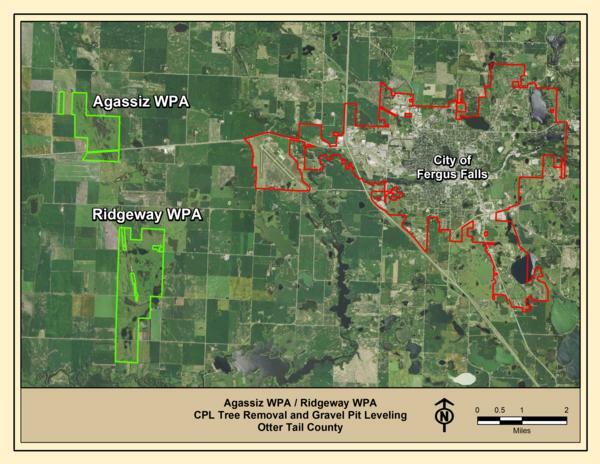 This project also includes leveling out the old gravel pit on Agassiz WPA. Project work will likely begin in summer of 2019. These trees are a constant seed source and are continuing to take over these WPA’s. Once this project is complete the USFWS will be able to properly manage the prairie by prescribed burning. In order to apply for this CPL grant a 10% cash or in-kind match from a non-state source was required. For this project the USFWS Fergus Falls Management District provided $10,200 worth of in-kind match to supply and plant native grass and forb seed in the disturbed work areas. 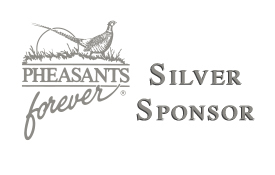 The Otter Tail County Pheasants Forever chapter contributed the remaining required match of $15,200 cash. These match funds from the USFWS and OTC PF chapter produced a 1,000% return in their investment and were able to secure the necessary funds required to enhance 1,200 acres of local Fergus Falls public land habitat. This is all in thanks to everyone that donates and attends the Otter Tail County PF banquet. Without your donations we would not be able to apply for these grant funds that help improve habitat on our public lands.